Over the course of 72 hours from June 5 to June 7, CVSA inspectors will blitz truck drivers across the United States, Canada, and Mexico with roadside inspections for this year’s annual International Roadcheck. The focus this year will be on hours-of-service compliance. Since the ELD mandate went into full effect over the past several months, the organization felt it was necessary to highlight the ongoing importance of HOS. Inspectors will conduct the North American Standard Level I Inspection during the event. This will include checking brake systems, cargo securement, coupling devices, lighting devices, steering mechanisms, suspensions, tires, van and open-top trailer bodies, windshield wipers, and more. Drivers will have to provide their operating credentials and hours-of-service documentation, and they’ll be checked to make sure they’re using their seat belts. Inspectors will also look for obvious alcohol or drug impairment. If no violations are found, drivers will receive a CVSA decal showing that their truck successfully passed a decal-eligible inspection conducted by a CVSA-certified inspector. If a critical inspection violation is found, the driver or truck may be placed out of service. Last year, 32 percent of the drivers placed out of service were due to HOS violations. During Operation Safe Driver Week, drivers and fleet managers should plan for the focus to be on seat belt enforcement, traffic violations, driver regulatory compliance, and driver roadside inspections. 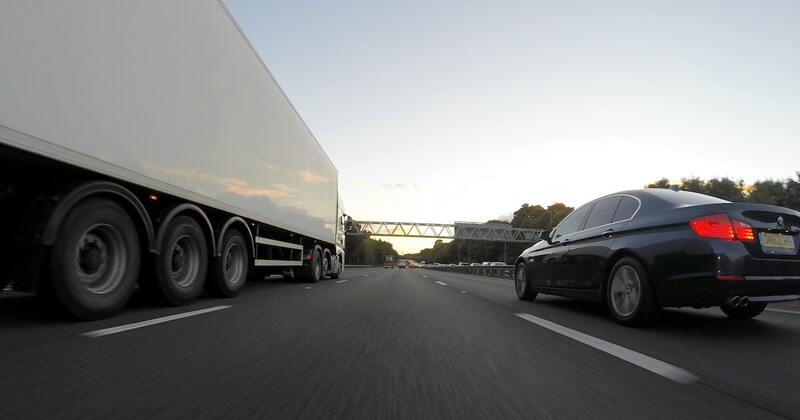 According to the CVSA, driver behavior is responsible for the majority of accidents including 93 percent of passenger vehicle accidents and 88 percent of accidents involving large trucks. The organization says it will focus on specific driving behaviors with this blitz. This includes speeding, distracted driving, not wearing a seat belt, following other vehicles too closely, texting while driving, improper lane changes, and not obeying traffic signs and lights. All drivers should watch their behaviors year-round but especially this week. In 2017, CVSA issues almost 39,000 citations and warnings to truck drivers during this week. Now is the time to get yourself and your drivers ready and make sure all trucks and drivers are in compliance. The last thing you need is for a truck or driver to be placed out of service for any length of time. If you haven’t upgraded to an ELD from your AOBRD system, Gorilla Safety can help. And if you still haven’t made the switch from paper logs to ELD, don’t let either of these checks be the time you get caught. Contact Gorilla Safety today and let us help you get into compliance so you can stay out on the road. Esta entrada fue publicada en Dispositivo de registro electrónico(ELD), Gestión de flotas, Safety, La vida de camionero. Guarda el permalink.